If you’ve listened to episodes one and two of The Wheel of Ka, the podcast about Stephen King’s The Dark Tower, you heard cohost Steve ask a very pointed and complex question. He asked “what is the deal with Roland, the hero of both books, and morality?” In other words, is Roland moral and if so, how can the readers understand his ethical choices? Steve and I intended to dive deep into this subject, but ran out of time. Hence, I’m devoting this piece to understanding Roland and morality to answer the questions: what ethical philosophies does Roland represent, argue for, and what do they mean for the narrative? Furthermore, how can reflecting on Roland as a moral agent impact us readers in our world? These questions have serious implications for the novels to come and could possibly have even more serious implications to the readers after our journey on the path of beam is complete. First, moral conflict is often at the heart of many great stories. Creating two morally opposing characters, one who the audience is supposed empathize with and one the audience is supposed to find distasteful, is at the heart of most popular and iconic narratives. Consider one specific example, Marvel’s Captain America: Winder Solider, the second Captain America movie featuring the character Steve Rogers as an agent of the covert spy organization SHEILD. 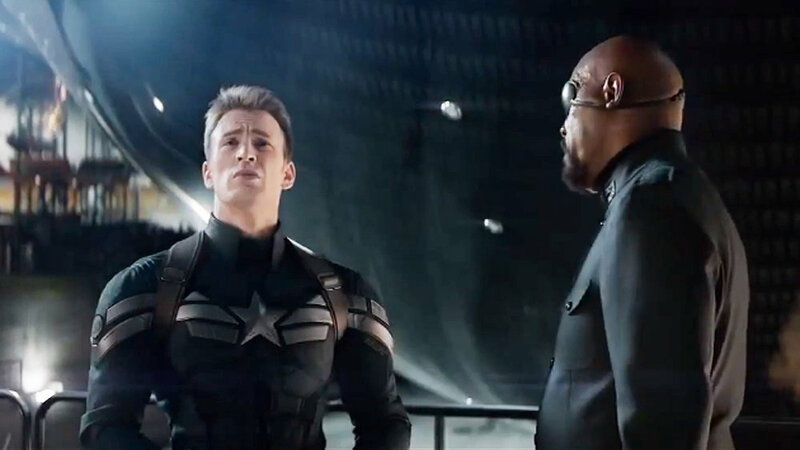 Early in the story, SHIELD’s leader Nick Fury, shows Captain America a fleet of technologically advanced flying battleships that have the capability to neutralize any threat anywhere in the world at any time. Captain America, a solider who has killed people, is disgusted as he explains, “We [Him and other soldiers in WW2] compromised, sometimes in ways that made it hard to sleep at night, but we did it so people can be free.” This statement establishes a moral rule the character follows, killing humans—and by extension war— is fundamentally wrong. However, fighting wars so that people can be free is the one exception. All methods of using violence can only be morally tolerable if the violence is used in defense of liberty. Therefore, any and all combat waged must be done to ensure civilians live in a free world. Steve Rogers’ moral code was established in the first installment of Captain America, in which he fights and defeats Hydra, who seek to seize authoritarian control over the entire planet. Captain America doesn’t like nor want to kill people, but he must suspend his antipathy for killing to defend freedom even if it means he can’t sleep at night. The flying battleships violate this principle, as they seek to eliminate threats before they can amass enough power to become dangerous. If the ships sense someone is about to become a super villain, SHIELD targets the up-and-coming villain and assassinates him/her. The ships are aggressive death machines, unthinking, uncompromising and most importantly, contrary to Captain’s free society he cares so deeply for. This conflict is exacerbated when Captain learns Hydra was not defeated at all and is alive and well, plotting to take control over SHIELD’s warships and use them to massacre all individuals who would not submit to Hydra’s rule. To Hydra, violence is a means to end freedom, creating a stark moral conflict between the hero and the villain. Captain has a moral rule whereby violence is fundamentally wrong unless used to defend freedom, and Hydra views violence as means to control and kill people with cold, cruel, mathematically precision. The movie becomes a conflict over who is correct, what is the proper way for technologically advanced societies to use violence? The moral conflict is at the heart of the narrative. Captain America practices a type of moral philosophy called deontology, or rule-based ethics. To explain this, its first necessary to understand why people have been debating morality for thousands of years. The question at the heart of all moral philosophy is, “how can humans live a good and happy life?” To one who practices deontological morality (to which there are several different facets and forms), the good life comes from following moral rules, which cannot be broken under any circumstances. Most of our heroes in popular culture follow a similar deontological path, fighting for and not compromising moral rules. It makes sense to give one’s hero a moral rule they cannot break, then have the situation or antagonist challenge them to break this rule creating moral conflict at the heart of the story. The audience will watch in suspense wondering, will Captain America finally become a ruthless killer? Will Superman snap and become the dictator of the world? Will Batman finally murder the Joker? And what of Roland, the last and lonely gunslinger in a world that has moved on? I would argue Roland is the exception in that there is no moral rule he would not break in books one and two. Roland learned right and wrong from his childhood tutor Cort. Cort teaches his boys that the world is cruel, trust no one, be ready to kill anyone at any time, and violence is the pathway toward manhood (and by extension, power). When Roland graduated from his training, he defeated Cort in combat and earned the right to carry guns. Roland has learned these lessons well as he slaughters the entire town of Tull, killing men woman, and children without hesitation or mercy in book one. In book two he does not hesitate to hop into the minds of others and take control over their bodies without consent. He has no problems drawing the innocent Eddie and Odetta/Detta into his quest knowing they will likely die. And lastly and perhaps most abhorrently, he allows the child Jake, whom he has taken under his protection—a child whom Roland claims to love—to die so he can get one small step closer to the Dark Tower. It is no wonder after two books of Roland’s deeds, we readers cannot help but ask: is Roland a moral character? Deontological ethics is one attempt to answer the question of how humans can live a good and happy life. One the other end of the philosophical spectrum is consequentialism. A consequentialist does not care about moral rules. Rather, consequentialism asks what the result of any particular action was. Did the action hurt people? Did it help people? If so, how many were hurt vs how many were helped? It is the end result of a person or persons' actions which matter and hence, it is the end results which should be judged moral or immoral. In trying to understand consequentialism, I’d like to pick an example from US History, the American Civil War. 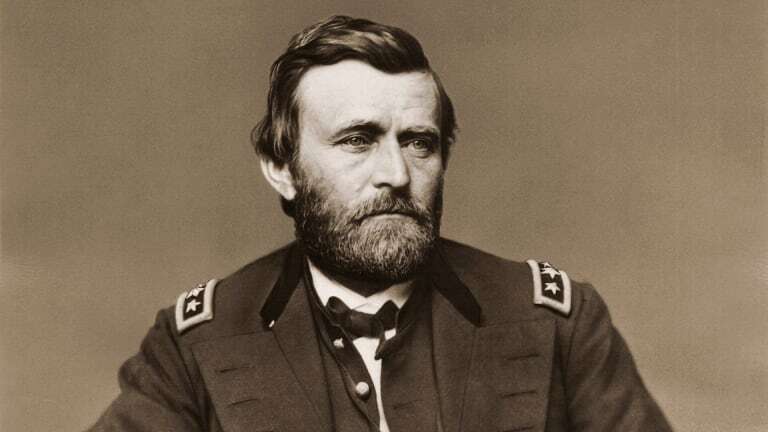 In March of 1864 President Abraham Lincoln promoted Ulysses S. Grant to the rank of lieutenant-general, making him the third person ever to have the title. This gave Grant the supreme authority over all Union troops and officers. The strategic job of winning the war now had Grant at the helm, and he would answer only to Lincoln. To put it simply, Grant realized the Union had more men and more resources but was still struggling to turn the tide and subdue the Secessionists. To put an end to the war Grant adapted new military tactics which would permanently change the nature of warfare. Prior to the Civil War, there were a two strategic objectives which would bring about the end of a war. The first, if an army could capture the enemies capital, the enemy would in-effect be conquered and have no reason to fight and would sue for peace admitting they had been bested. A good example of this is when the Crusading forces sacked and took Jerusalem, ending the first Crusade. The second was to capture or completely destroy the enemy’s army; with no army there would be no one to fight the war, ending the conflict. Furthermore, prior to the American Civil War, warfare was a seasonal activity whereby armies would gather winter quarters to refit and resupply only to resume combat after the frigid months of winter passed. These tactical traditions were problematic for the Union cause. During winter Grant and the Union army were in enemy territory, making it difficulty to refit and resupply. Southerners weren’t hospitable to a Northern army camping out in their backyards, whereas the Confederates were home and had a population who were happy to feed and house their soldiers during the winter months. The Confederates could more easily refit and resupply during the winter months, and if a Confederate army was captured, they could wait it out till winter, evading the Northerners all the while mustering new forces. Furthermore, the capital of the Confederate States was so new that capturing it would likely mean little to nothing given that the Confederates could wait it out till winter, resupply and find a new seat of government. In light of these obstacles to victory, Grant made the tactical decision to fight year round. If his army found itself short of food, clothing, money, etc., he simply took it from the Southern civilians. After all, either he would have these supplies or his enemies. Furthermore, to break the Confederacy, Grant needed to break the peoples’ will to fight. Hence, Union forces burned farms, villages, and Southern cities, displacing many and leading, both directly and indirectly, to civilian casualties. Years later, historians would call Grant’s strategy “total war” in that it wages war year round and will punish civilians who aid the enemy. This strategy would prove to be successful, as Grant accepted the surrender of the South on April 9th 1865, less than a year after Grant’s appointment as the supreme Union commander. Grant understood, as all great military leaders do, that a deontological view of morality does not win wars. If Grant stuck to the standard tactical “rules” of warfare, the Confederacy may have triumphed. Rather, Grant made a decision based off of the consequences of his orders. Weighing the splintering of the United States of America into two nations and the continuation of slavery, Grant made a consequentialist moral decision: winning the war was worth the price paid in destruction and carnage. To consequentialist moral philosophy, Grant did much harm to win the Civil War but by doing this harm he did a greater good. Turning back to the last Gunslinger and the question of his moral makeup through books one and two, it is clear Roland does not fit the bill of deontological moral philosophy. Does he follow consequentialism? Let us examine his terrible moral choice to let Jake die in book one. Roland is under the mountains being chased by slow mutants and he is confronted with a terrible dilemma. He can either save Jake from plummeting to his death or escape the mountains and confront the man in black. Roland chooses the latter, and Jake tragically dies twice in one book. Prior to this moment, both Roland and Jake know it’s coming. Roland holds no pretense that he would protect Jake over this quest for the Tower and Jake intuitively realizes Roland will put the Tower over Jake’s life. In fact, nearly every decision Roland makes, good, bad and ugly, can be understood as Roland accepting his decisions are moral if—and only if—they assist him on his quest. Roland is waging a strategy of total war on his quest to the Tower. Jake, the inhabitants of Tull, Eddie and Odetta are strategic pieces, which will aid him along his quest and will be sacrificed if needed. The question which follows, is the Tower worth it? Is sacrificing so much and so many innocents worth Roland getting to the Tower? Through book one and two, we readers know very little of the Tower other than it sits at the heart of the multiverse. Consider the fact that Roland’s world has ended. Civilization has collapsed and even the laws of nature are slipping as time and spacial dimensions no longer function as they used to. Roland does not want to possess the Tower simply to posses it. 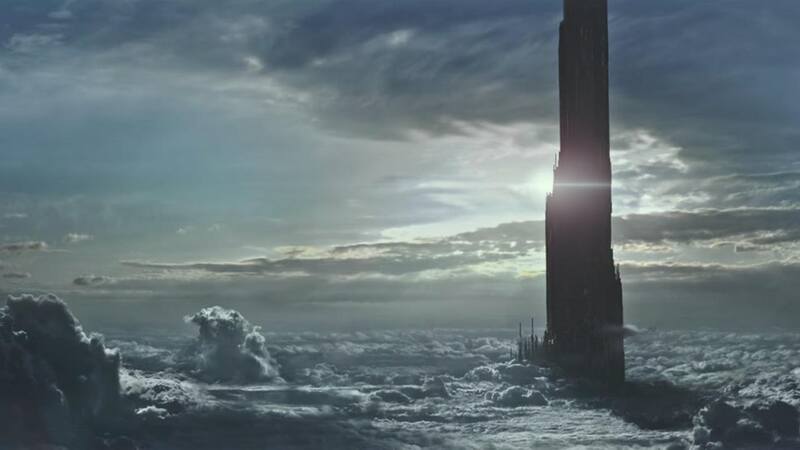 Rather, we get the sense Roland wants to repair the damage done to his world and the Tower is how he can achieve it. With the world ending, with the laws of physics upended, with the man in black, a vicious magician who plants insidious psychological traps on his path, Roland has decided getting to the Tower is a greater good then all the harm he inflicts. Whether or not his choices will prove fruitful, whether he will cause more good than harm on his quest, whether the Tower will justify his actions, remains to be seen in book one and two. But under the lens of consequentialist philosophy and considering the example of General Grant, we cannot dismiss Roland’s choices as immoral. Rather, he has a complex and well established moral code that mixes in the tough lessons of military training, years of battle, civilizations collapsing, and consequentialist morality. Moral philosophy is complex, and I do not have the answer to the question of how to live a good and happy life. While General Grant was the winning general of the American Civil War, he also earned the nickname "the Butcher,” a moniker given to him by both soldiers he commanded and enemies he vanquished. Even Roland ponders in The Drawing of the Three if winning the Tower at the expense of his soul is a worthwhile bargain. Furthermore, great events that shape the world around them are often shaped by those who did much harm to secure greater good. Perhaps Roland’s quest will prove to be worth any and all actions, perhaps the consequence of allowing Jake to die will justify his sacrifice. However, trying to understand Roland necessitates understanding his choices as part of a consequentialist moral system that puts securing the Tower, and mayhap saving the multiverse, as a greater good and worthy of all evils he commits along the way. If you enjoyed this blog, check out some of our sources and inspiration! Images are affiliate links, meaning if you purchase the item, a percentage goes to the Midnight Myth Podcast. Thank you for your support!